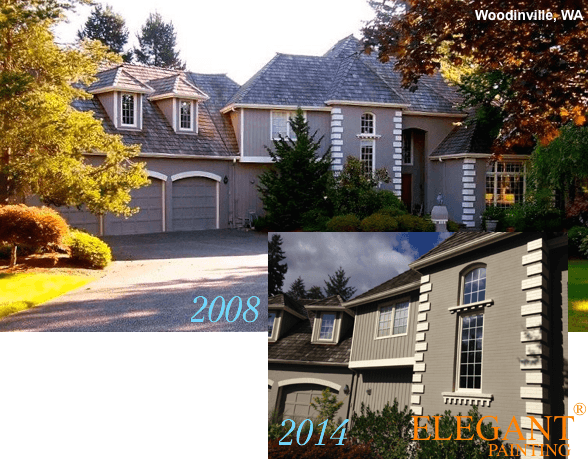 Unlike interior painting, an exterior painting quote is dependent on a limited number of factors. 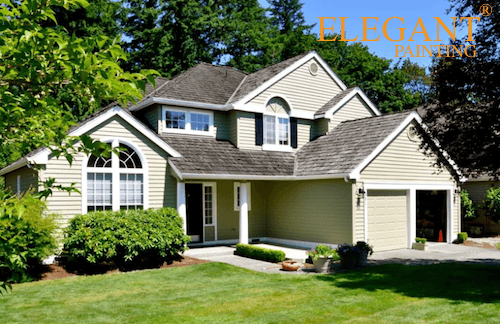 In this article, we explain our price formula which has been fine tuned over the last decade and proven to produce the most satisfied clients, as well as sustain ELEGANT PAINTING® as a successful local employer. 1) Increased labor costs Removing loose paint is costly. 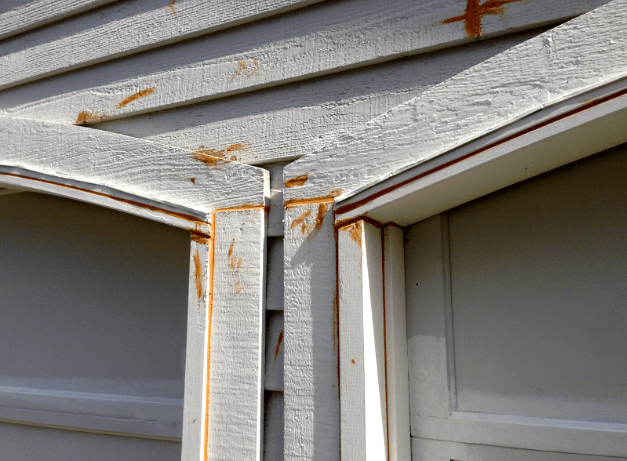 Peeling layers must be manually removed and primer must be hand painted to ensure proper adhesion. This is old fashioned manual labor and it will cost you. 2) Decreased durability. 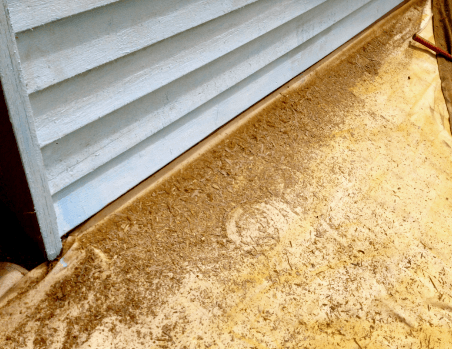 Once your current coat of paint stops being protective, your substrate begins to deteriorate. 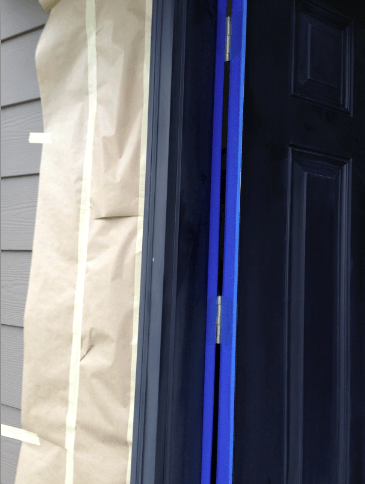 Even with proper preparation you still run the risk of the new paint job failing prematurely. You also run the risk of ending up with a painting company that does not perform a proper preparation service. A three story house will always cost more to paint. 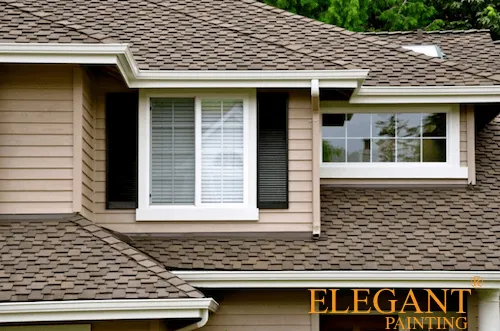 Roofing, gutter cleaning and window cleaning will all cost more if you own a three story house. 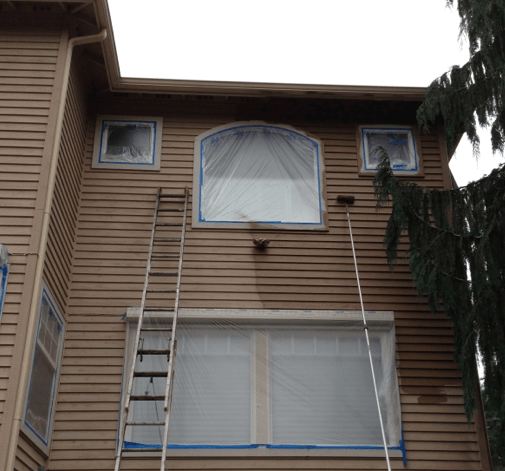 Another factor is the amount of trim to be painted on your three story house. If there are surfaces only reached by walking on the roof, then the pitch of your roof comes into question. Most Northwest homes have roof pitch of bellow 12/12 which can be walked on with OSHA approved safety gear. Roof pitch 12/12 (not common) cannot be walked on and require ladder hooks. 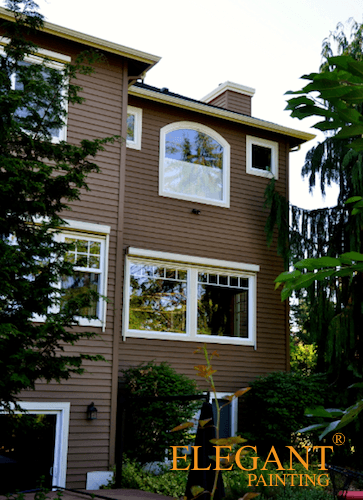 Has your home been built on a steep slopes? 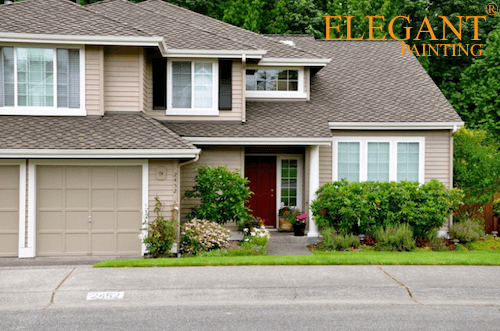 Most homes are on semi-level lots and are easily painted using ladder leveler. 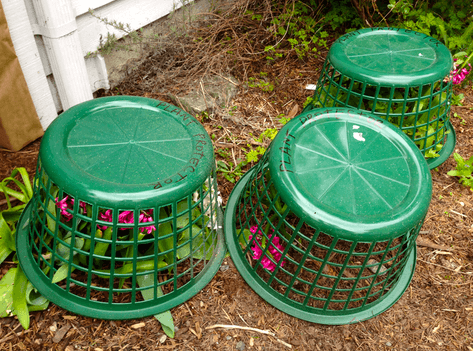 We have encountered a few dozen projects where a ladder-trench had to be dug in order to secure our ladder legs. 1) Beveled cedar siding. 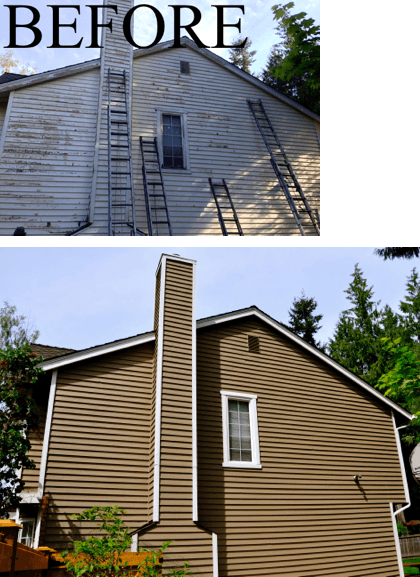 The most common type of siding used on homes constructed prior to the 1990’s. 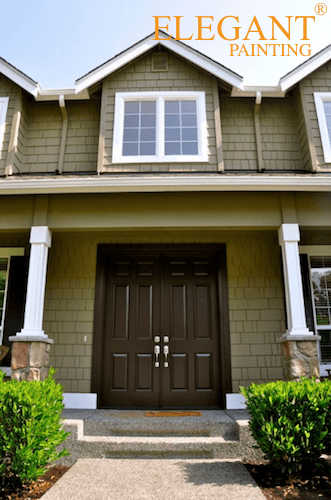 While this material is still in use, it has been widely replaced with Hardie Board siding. 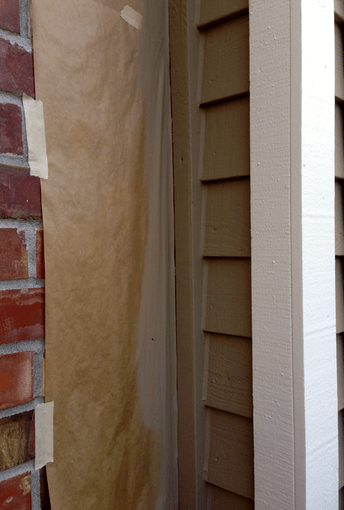 You can expect to pay a bit more to paint your house if you have rough-cut cedar siding. The roughness of this surface is what makes it a durable product as it holds on lots of paint and also cools down faster. 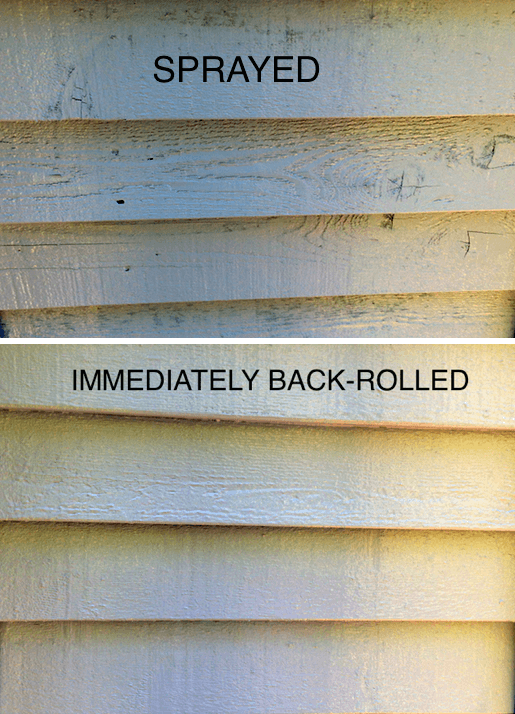 Back-rolling or back-brushing is an absolute must with this type of siding. Paint must be pushed into the texture to ensure a strong bond. 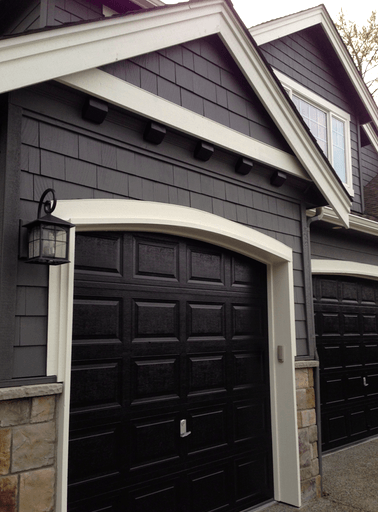 2) Hardie board siding. 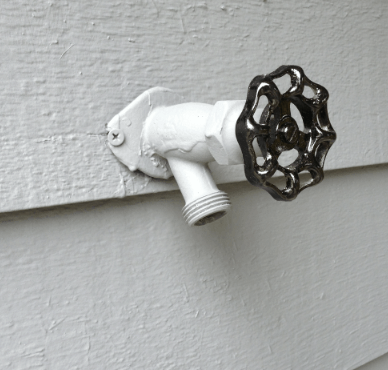 Used on nearly all new homes, this material is easy to maintain, fairly inexpensive to paint, and it holds on to paint for many years. 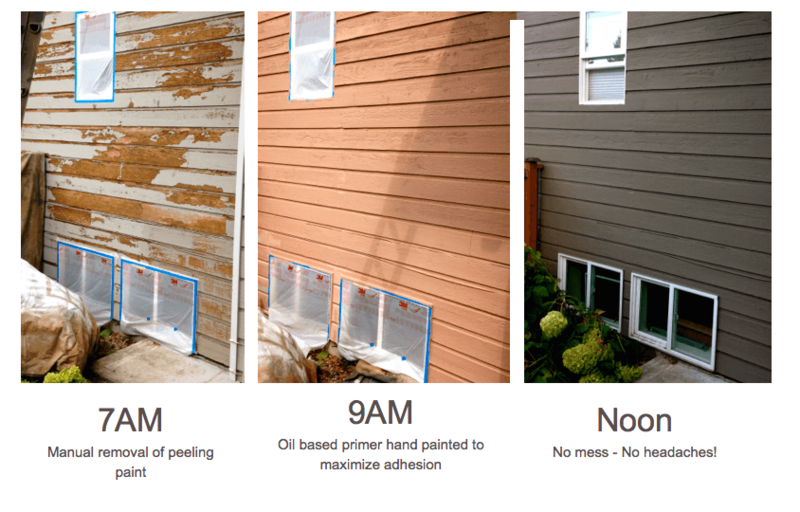 It is crucial that Hardie Board siding is painted using spray & back-roll method to ensure enhanced adhesion and an even spread of paint. 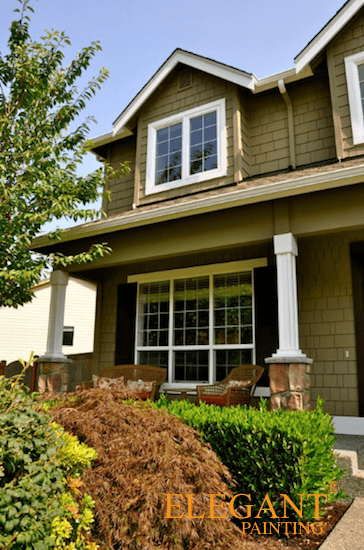 A complete package to meet the needs of homeowners who expect more from their home-improvement professionals. 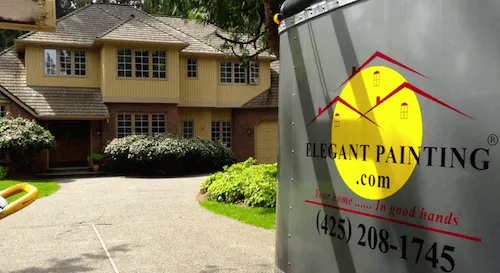 We have spent the last 10 years listening to Eastside homeowners, and offer you a service company 100% focused on providing a positive experience. Zero lawsuits or complaints, ever! We guarantee your positive experience! Too busy to call us? Click to schedule an appointment with our estimator. 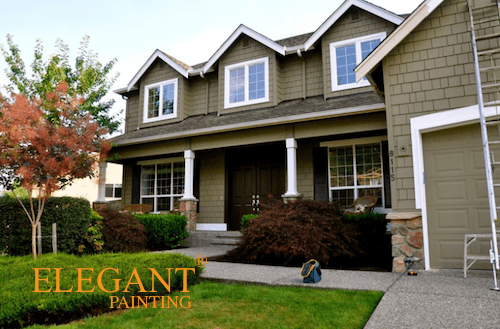 Elegant Painting was founded in Kirkland. Our talented crew members are directly employed and insured by us. We do not hire subcontractors and we do not sell client information to other contractors. By avoiding subcontractors we are able to guarantee consistent quality, time and time again. Most local painters use subcontractors. This means once you agree to hire a local painter, he then begins shopping around for a subcontractor to do the actual job. The company you hire is simply a middle man who takes a cut for finding you the painters…often the cheapest workers with the lowest quality service standards. 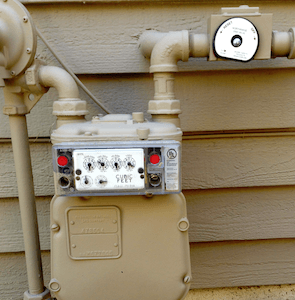 Every one of our free estimates comes with a list of glowing references, a copy of our current WA state contractor’s license, proof of insurance, and a copy of our certificate of bond. 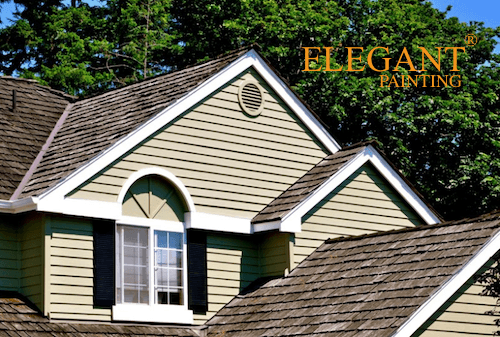 ELEGANT PAINTING® is one of very few companies to back-roll the entire siding. this method forces the paint into the grain and rubs any trapped air out of the texture. Read more on the importance of backrolling. We use only top quality paints from local Sherwin Williams® stores. as a large volume purchaser we receive deep discounts that allow us to continue offering super premium quality service at excellent rates. Read more about our paints, stains, and other adhesives. While most painting companies promise two coats, Very few actually deliver as promised. We believe applying two coats on every single project is essential to the durability of the coating. 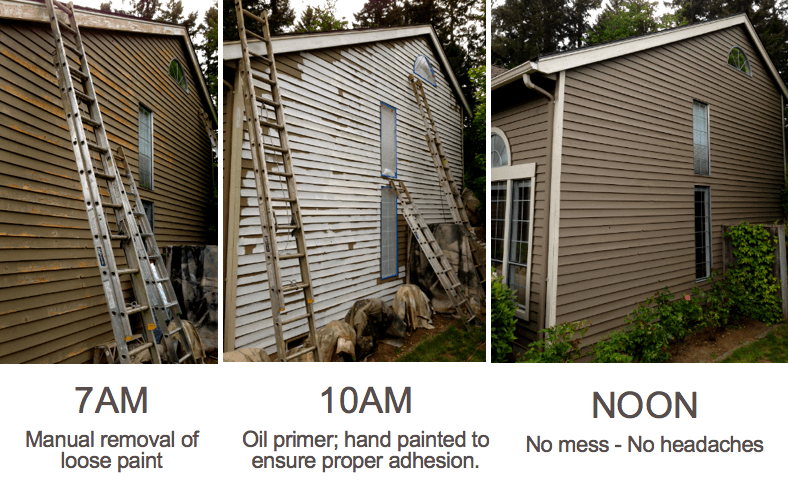 Every exterior project includes a progress report complete with proof of second coat. See a sample. Many painting companies in our area are not local businesses; they use UPS boxes with addresses that resemble actual street locations. These are often companies that are hiding their physical locations from you and from the State. Zero lawsuits or complaints ever! 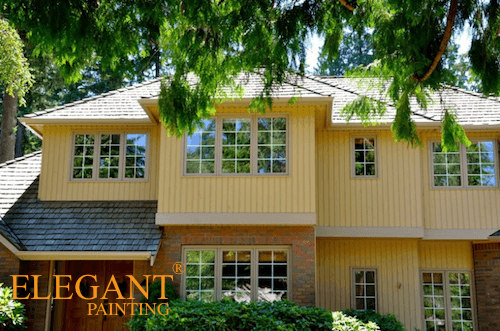 As of 2015, ELEGANT PAINTING® maintains an immaculate record with zero complaints, no tax debt, no delinquent accounts or legal issues of any kind. Precision is guaranteed in writing! 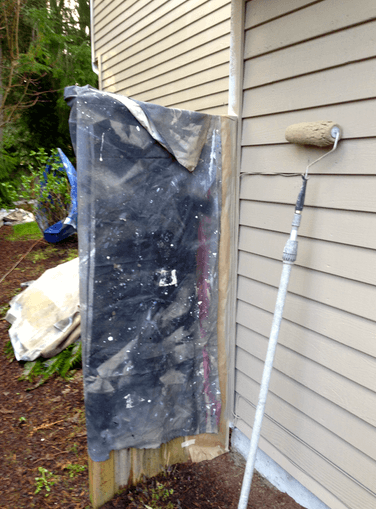 We back-roll the entire siding! 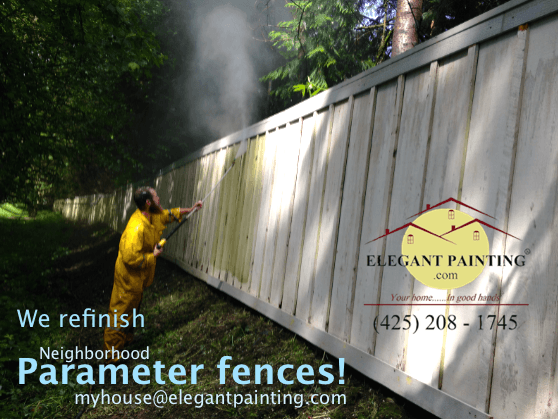 Each free estimate includes a list of references complete with email addresses. 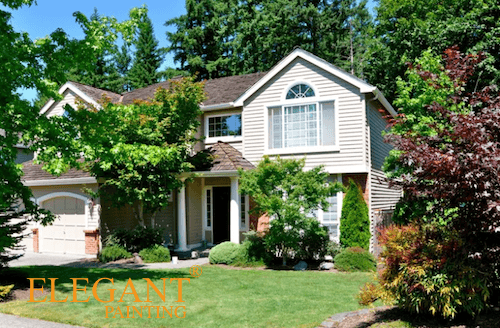 We encourage our new clients to get in touch with previous homeowners and inquire about their experience with ELEGANT PAINTING®. While we guarantee the quality of our craftsmanship, we also guarantee that you experience with us will be a positive one. Our company is built around homeowners who expect a high level of professionalism from their home improvement professional. 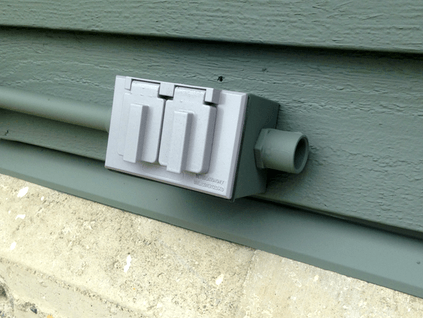 Exterior corners – Should they be painted trim or siding color? 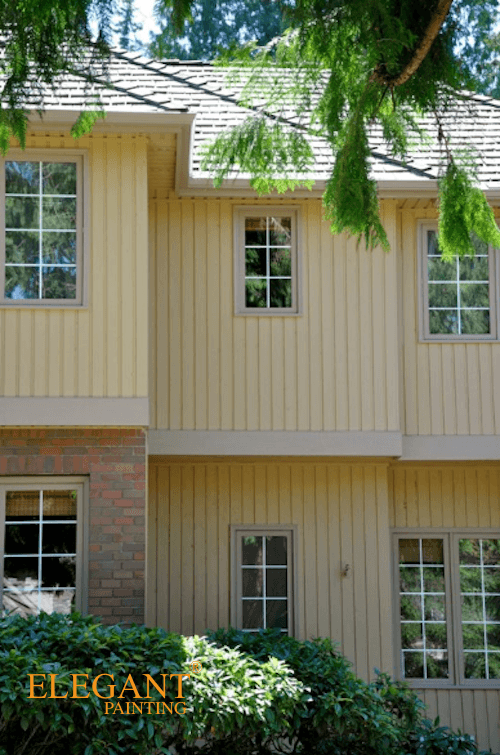 Click here to see photos of houses with corner boards painted trim color. 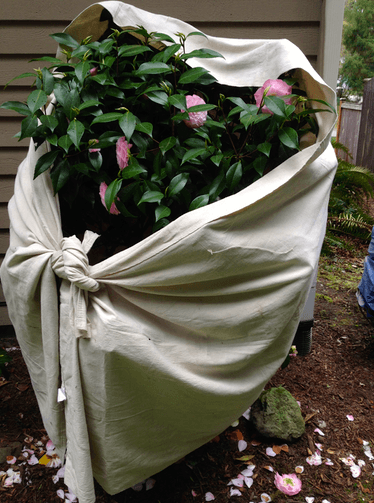 Your larger plants and shrubs will be covered using Drop cloths and tarps. Roofing material will be protected using masking machines and 3m masking paper. 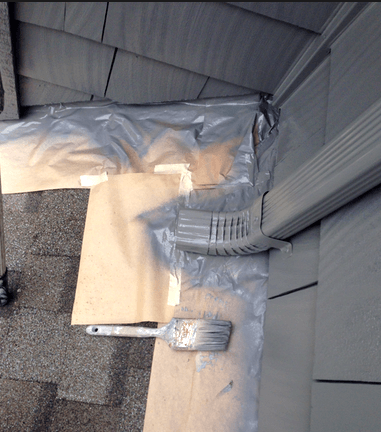 Areas close to the siding, the roofing material will be masked precisely, while the drop cloths cover the rest as needed. 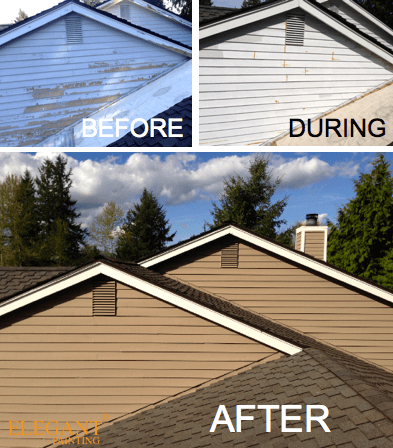 We paint roof flashing only when it has already been painted (mistakenly) by previous painters. 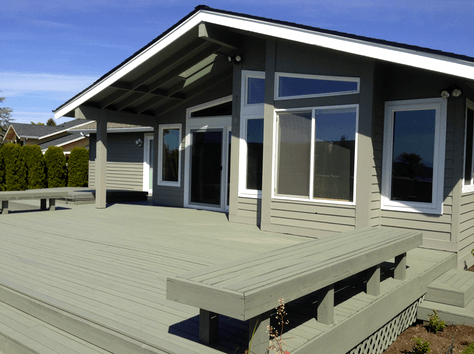 Decks, porches, railings, etc. will be protected using masking machines and 3m masking paper. 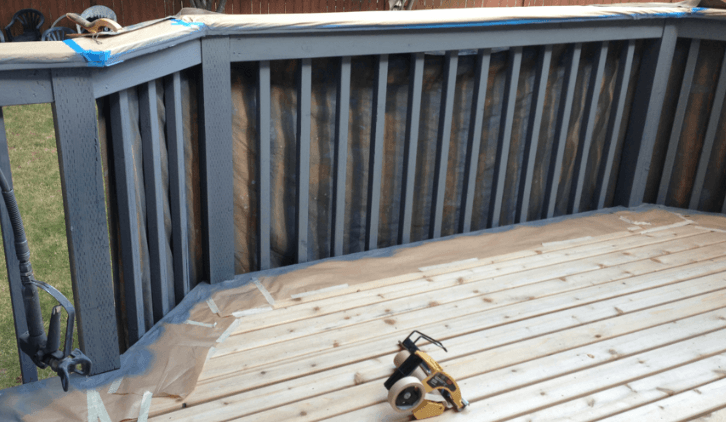 The body of the deck will be covered up to prevent paint drips, overspray, splatters, etc. Patio lights will be removed and re-installed. 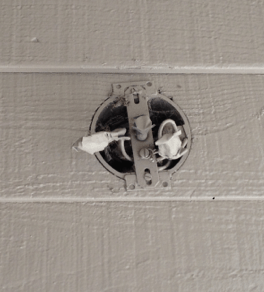 Any fixtures that may require an electrician to reinstall, will be masked off and protected in place. We paint spickets that are previously painted.